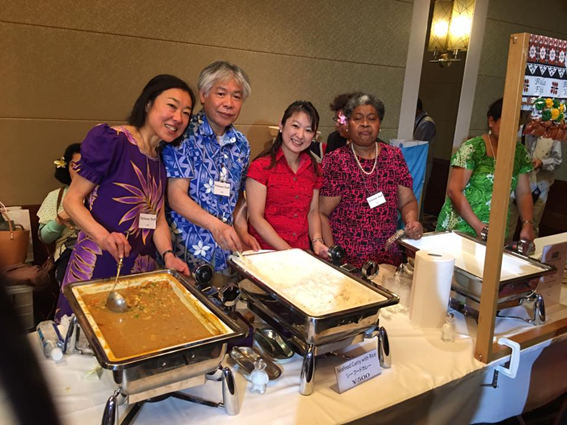 The Asia-Pacific Ladies Friendship Society (ALFS) comprising of spouses of Ambassadors from Asia-Pacific countries based in Tokyo and the Japanese ladies hosted its annual “Charity Bazaar” at the ANA Inter-Continental Hotel, Tokyo on Wednesday, 19th April 2017. The event was officiated by HIH Princess Hanako Hitachi. 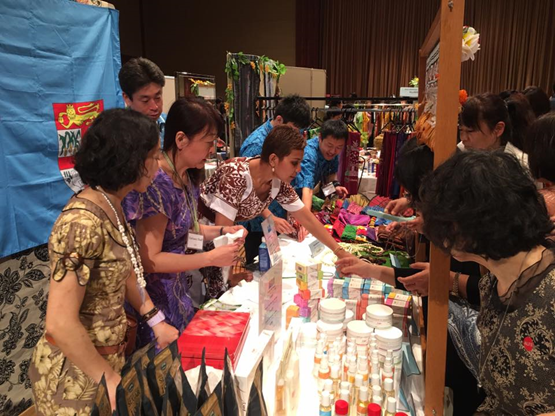 With 23 member countries from the Asia Pacific region and a general membership of over 300, the bazaar provided a good opportunity for the public to witness the fruit and efforts of diplomatic and Japanese members of ALFS working together. Proceeds from the charity event are shared amongst participating countries for charitable assistance in their home countries. 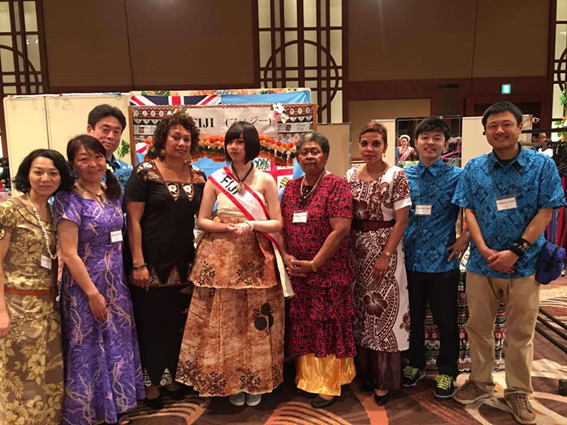 Madame Venina Mataitoga greeted HIH Princess Hanako Hitachi at the Fiji Handicraft booth and introduced Her Imperial Highness to the various products offered by our booth. 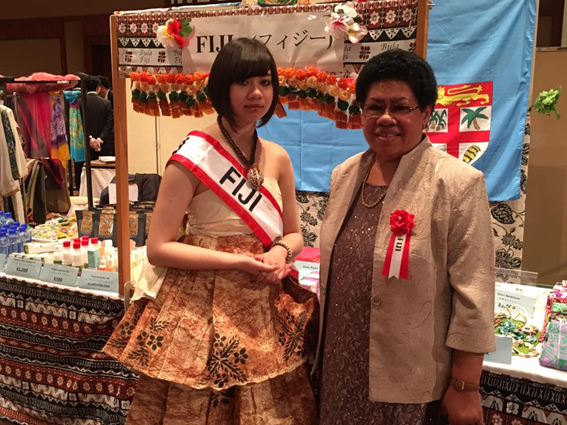 Fiji’s participation included a Fiji Food booth and a separate booth for Handicraft goods. Fiji brand commodities like AQUA Pacific water, Island Chill Water, Pure Fiji and Virgin Coconut Oil products generated quite a lot of interest. The yearly occasion remains as a tremendous opportunity to market Fiji in terms of tradable commodities and Fiji as a tourist destination. 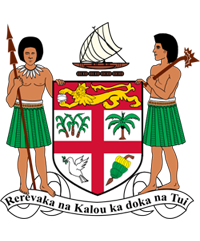 The Embassy is truly grateful for the assistance from Fiji friends who volunteered to assist at the Fiji booths and all to those that purchased the FET – ALFS Charity Bazaar 2017 Door and Raffle tickets. The four-hour event was enjoyed by everyone who attended.